Hawaii state government is stepping up efforts to help the Critically Endangered Maui Parrotbill – of which fewer then 300 are thought to remain in the wild – in a bid to increase the species’ population. Maui Parrotbill lives at high elevation in the rainforests of Maui and the birds were previously found throughout the forest in leeward Haleakala. However, this area has been badly damaged by hooved animals over the past few decades and state crews will now work to restore much of this forest. Less than 300 Maui Parrotbill remain in the wild (Andrew Smith/Flickr). Part of the restoration work includes installation of fencing and planting of native plants and trees. Once this part of the project has been complete, a team plans to release up to 20 Maui Parrotbills in the area later this year. Hannah Mounce, of the Maui Forest Bird Recovery Project, said: "We chose this spot for a future release site for the Critically Endangered birds from the windward side and step one was to bring the forest back." 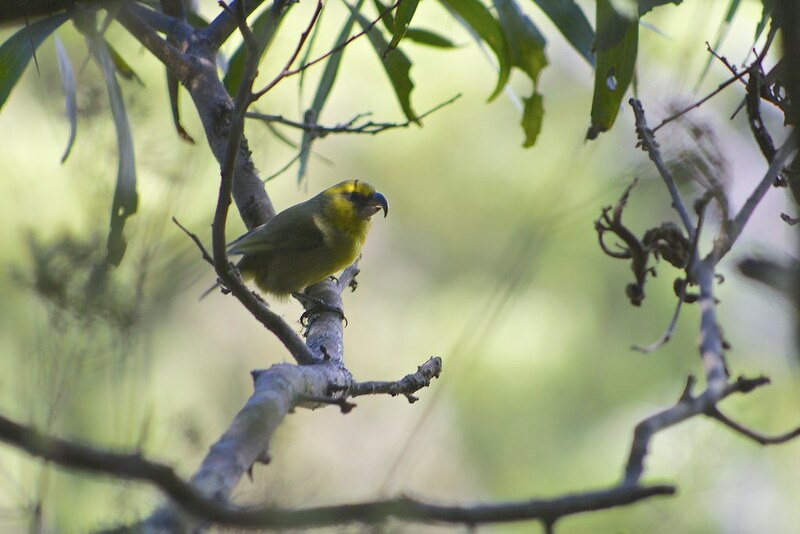 Maui Parrotbill is one of the larger Hawaiian honeycreepers, favouring undisturbed wet forests dominated by Metrosideros polymorpha and small patches of Acacia koa, with a dense understory of small trees, shrubs, epiphytes, ferns and sedges. Its range is limited, centred between Pu'u 'Alaea, Kuhiwa Valley, Lake Waianapanapa, and upper Kīpahulu Valley – an area less than 2,020 ha – and at elevations of 1,310-2,070 m.
Much of the land in the parrotbill's historic range was changed for agricultural purposes, timber production and animal grazing. Introduced pests, such as mosquitoes, rats, and feral ungulates directly and indirectly affect the parrotbill's survival. Mosquitoes spread avian malaria, which the parrotbill is susceptible to, rats prey upon the birds' eggs and young and feral pigs uproot the low-lying vegetation that the parrotbill forages in. Pigs additionally create wallows, which serve as breeding grounds for avian malaria-infected mosquitoes.